Seems to me that we measure success with excess. Excess of the almighty dollar. Excess of stuff. Excess of activated grey matter. Excess of status. Excess of opinions. Excess of that stuff that makes you a legend in your own mind. 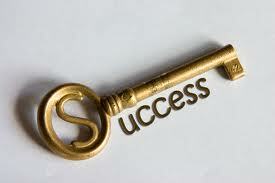 I’ve been thinking perhaps the key to success can easily be measured by the number of keys you have on your key chain. Is your key chain dangling with success? Multiple keys to safety deposit boxes or storage facilities, keys to numerous vehicles or a variety of domiciles, key to the office... Is success in the sweet sound of the jingle in your key chain dangle? I have very few keys. Until recently, home, bike lock, now a car key. Now, the key to the yoga studio. In my heart and soul, I don’t need to feel successful, all I need to do is love more and fear less. 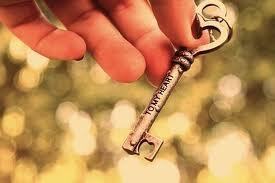 For me that is the key. One key I forgot; here, the key to my heart.